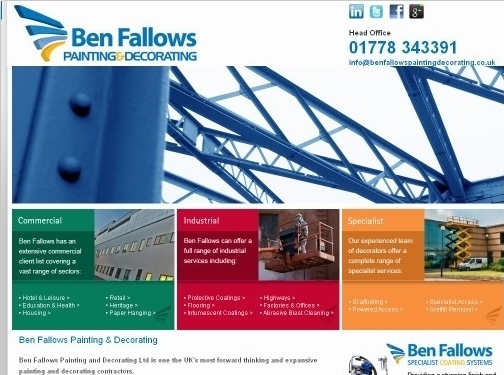 Ben Fallows Painting and Decorating Ltd have worked in this industry for over a decade, providing a large range of specialist services for both commercial and industrial clients throughout the UK. Based in Peterborough and operate in London and UK. UK (Deeping St James, Lincs) based company providing painting and decorating services. Website includes details of services provided, associations belonged to, areas covered, full company contact details.